The flexible and stackable side table Fortyforty is a significant example of Ferdinand Kramer's fascination with variability and adaptability of multi-purpose furniture. Designed in 1945 during his time in America, the playful fortyforty expresses lightness and elegance despite its strict geometrical shape. Removable and invertible trays for top and bottom of the frame in coloured steel or marble offer a multitude of possibilities and set individual accents. 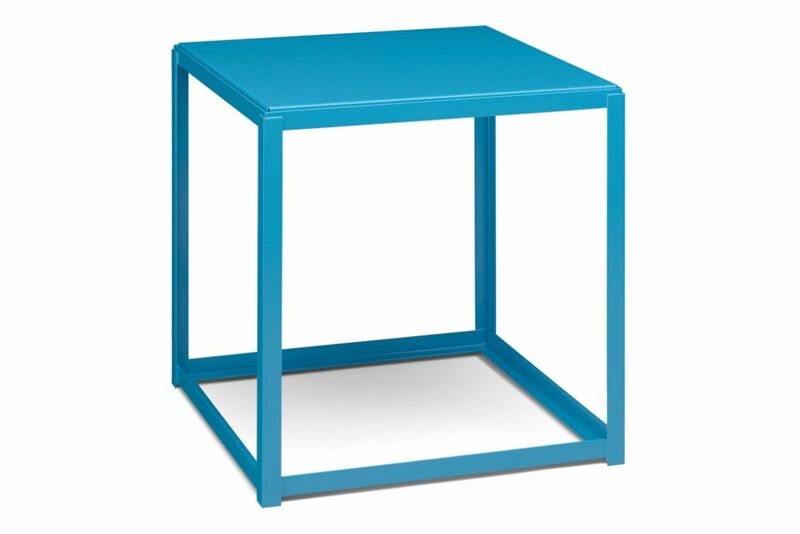 Stackable to up to five, the versatile character of the fortyforty side table allows for an application in diverse environments, either as a stand-alone piece or also in combination with other furniture from the e15 collection. Frame and trays are delivered separately.